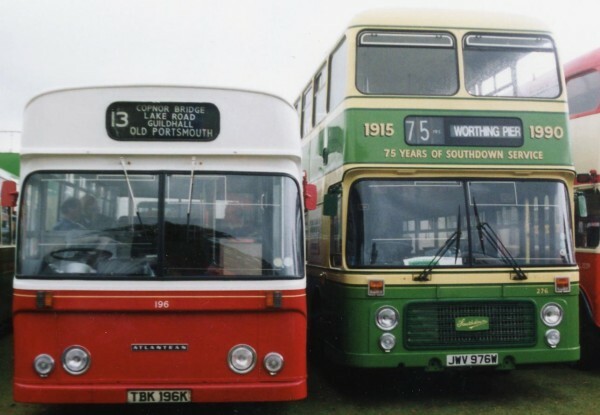 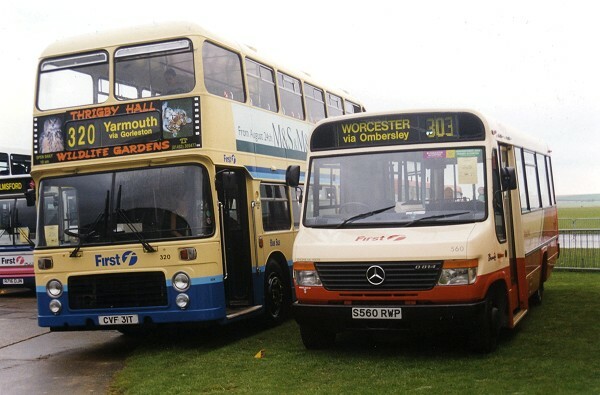 This photograph was taken at the Mid-Hants Bus Rally, Alton on 20 July 1997 and shows fleet number 1075 (BFJ175L). 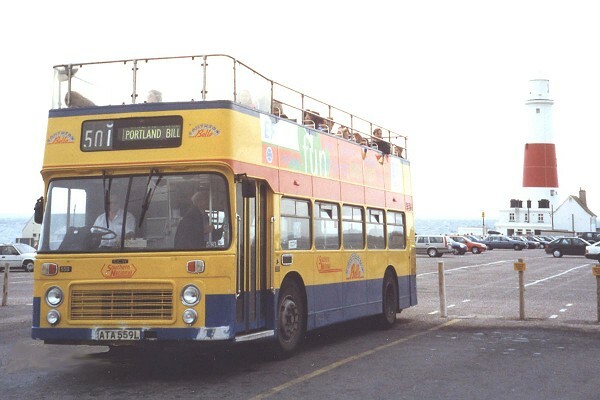 EFE model 20422 represented Bristol VR3, fleet number 1097 (PTT97R) in this livery. 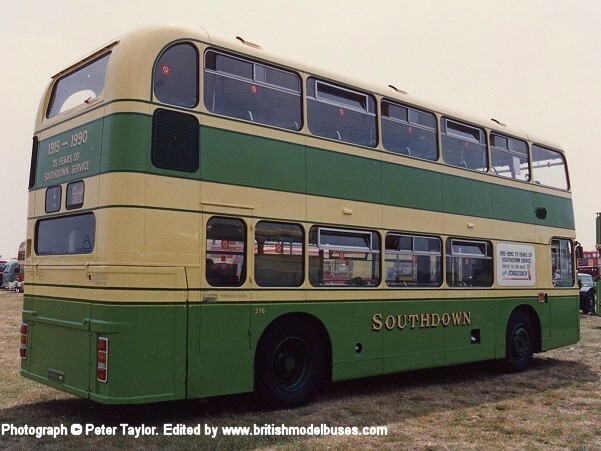 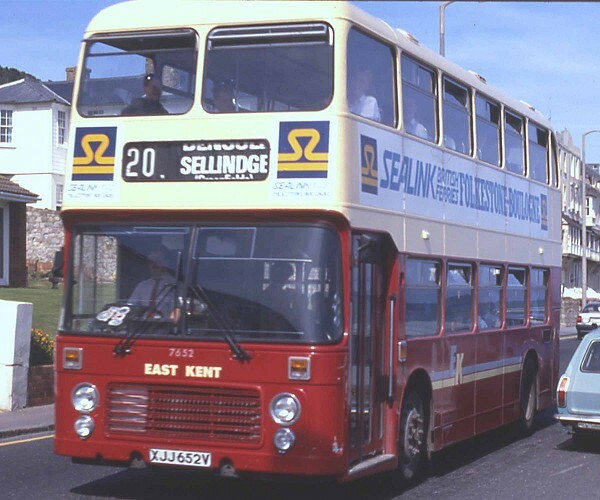 This photograph was taken at the Gosport Rally, Stokes Bay on Sunday 30th August 2004 and shows fleet number 5069 (GEL685V). 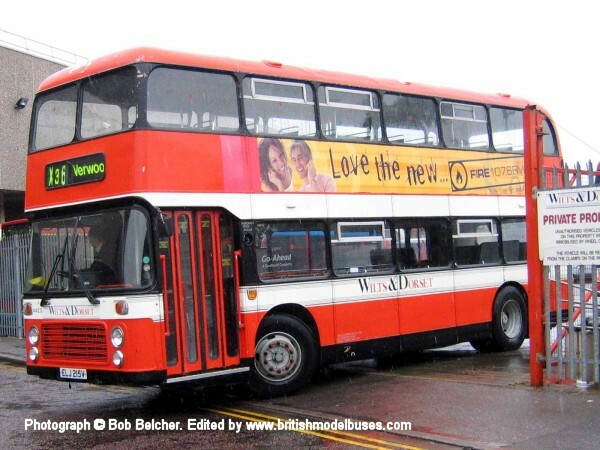 This is a sister vehicle to fleet number 5062 (VPR485S) as represented by EFE model 20437. 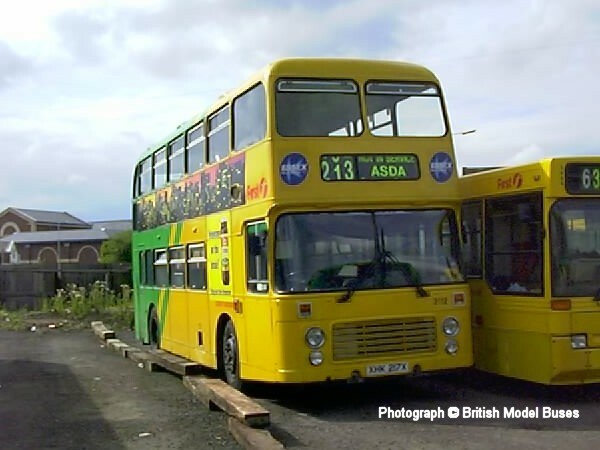 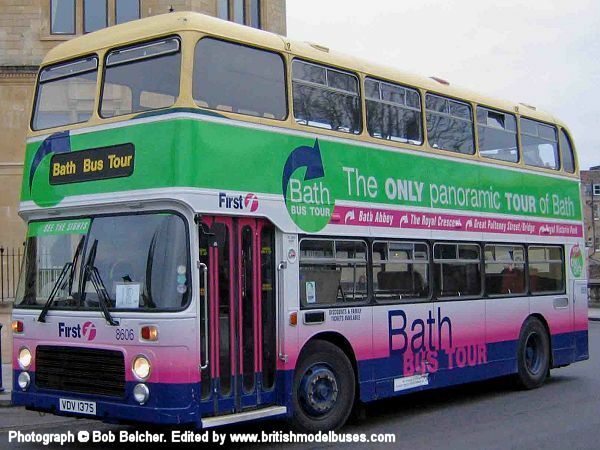 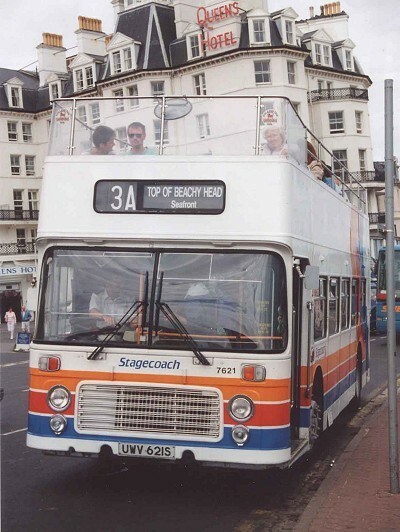 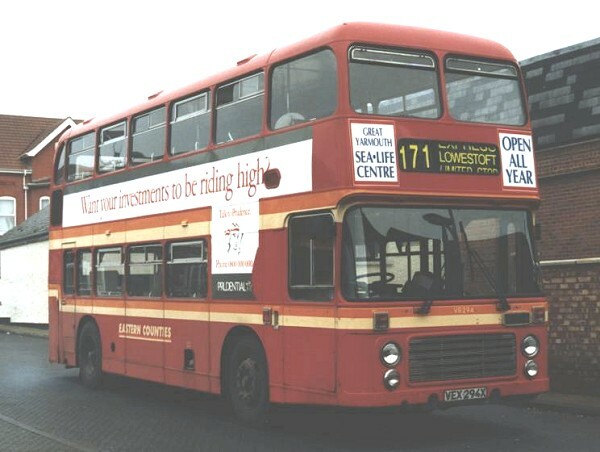 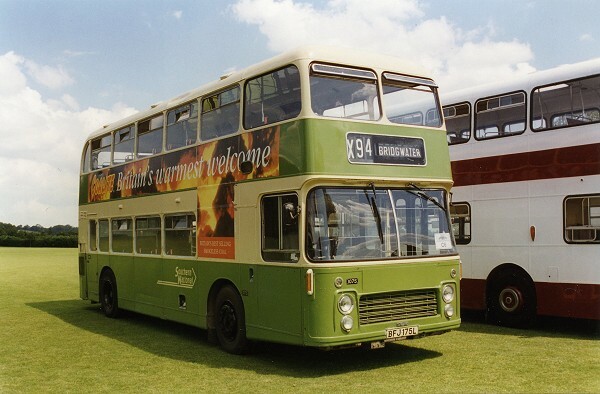 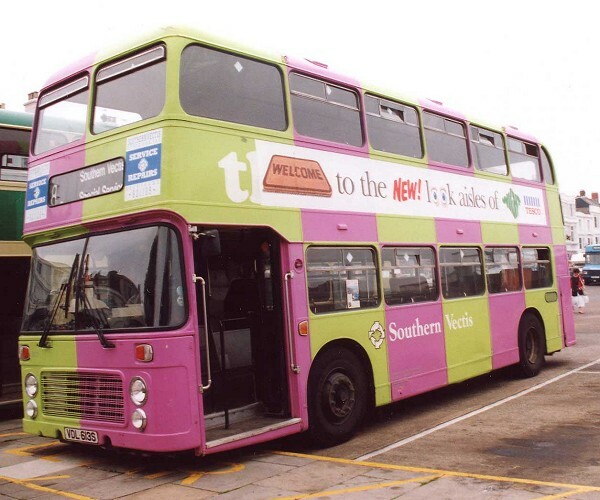 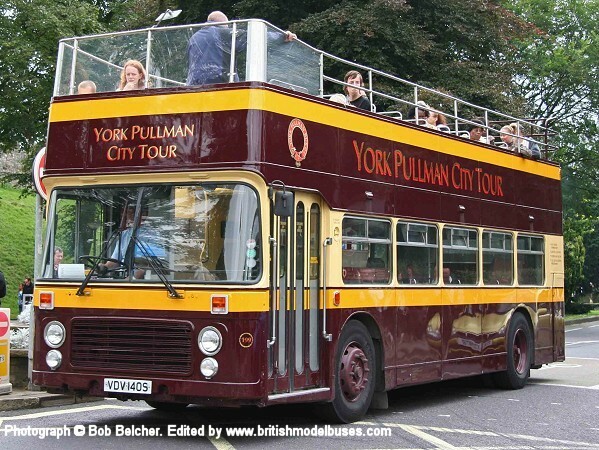 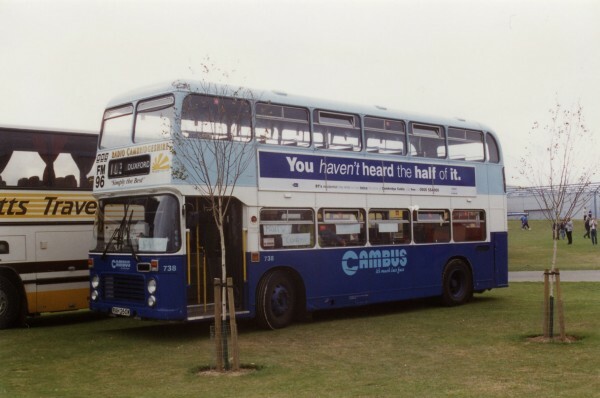 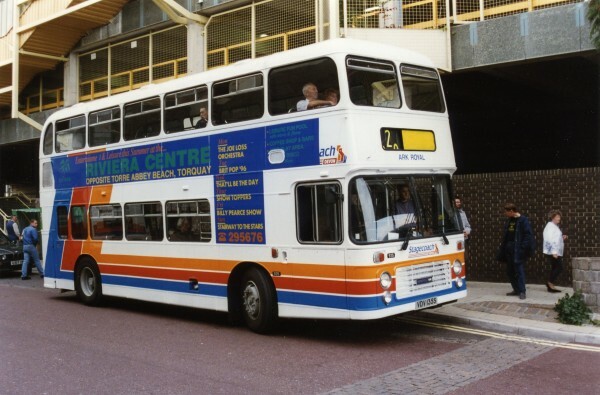 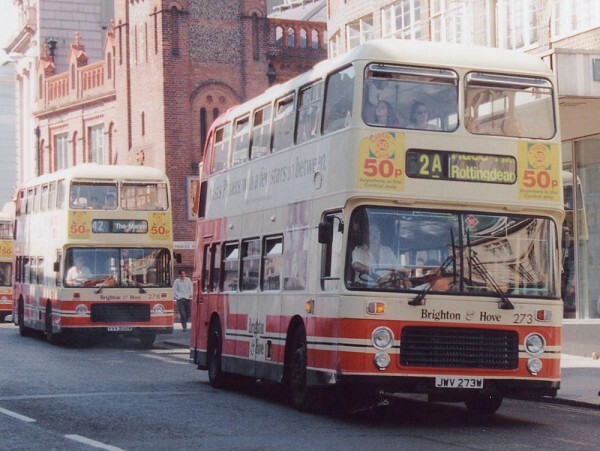 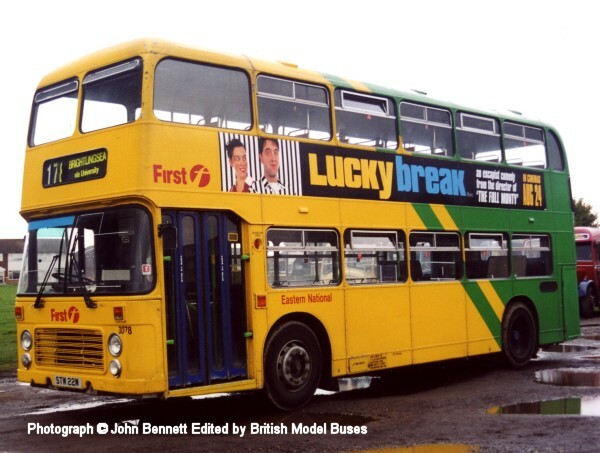 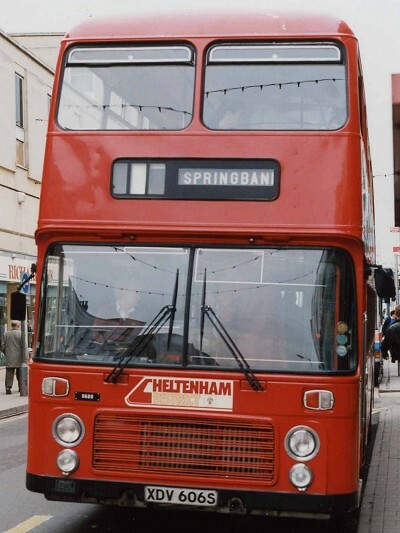 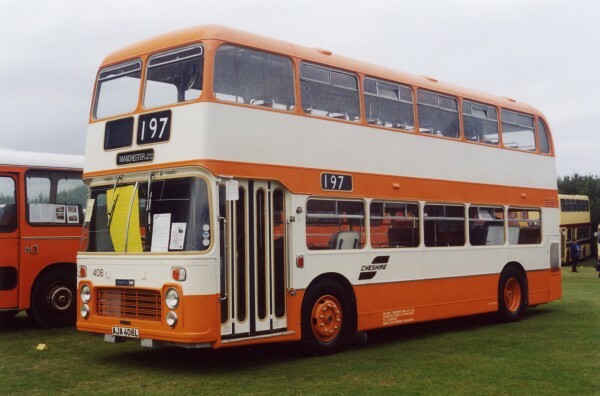 This photograph was taken at Showbus 1998 and shows fleet number 320 (CVF31T). 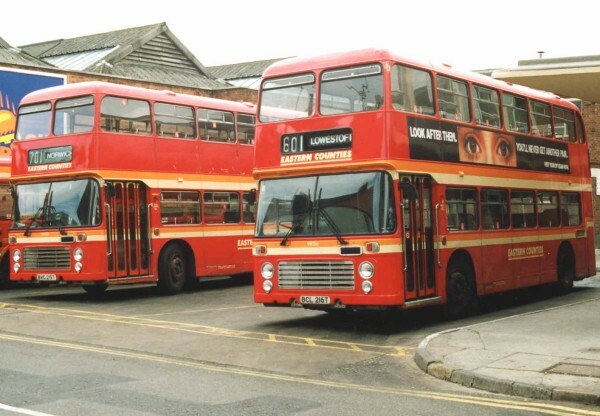 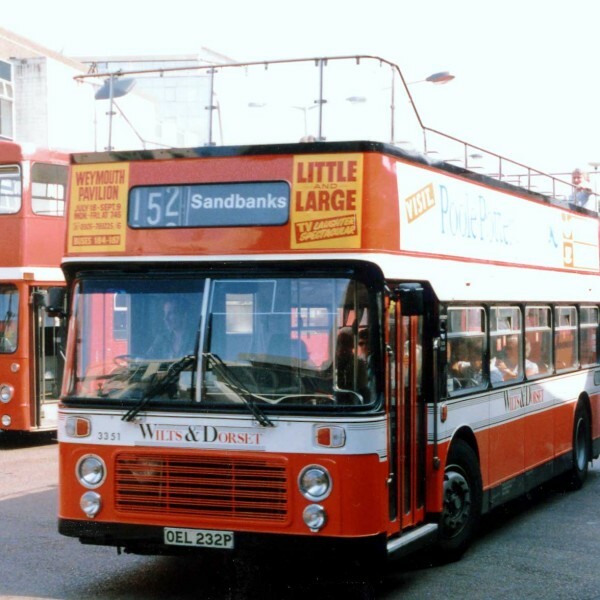 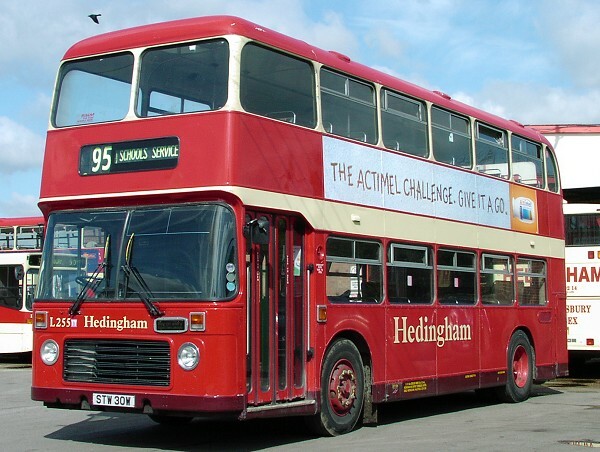 Alongside it is First Midland Red Beaver II fleet number 560 (S560RWP). 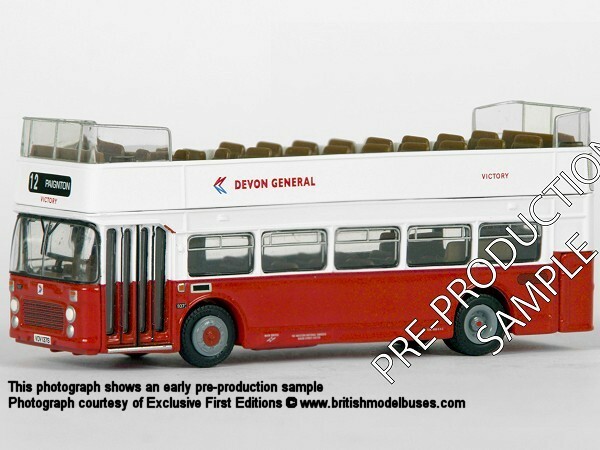 The Bristol VR is the actual vehicle represented by EFE models 20415 and 20415SB. 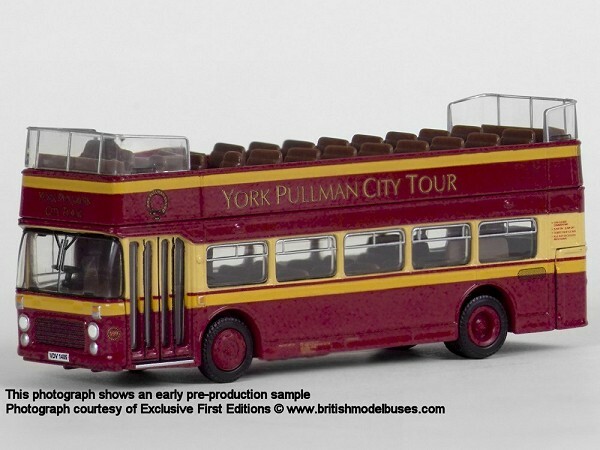 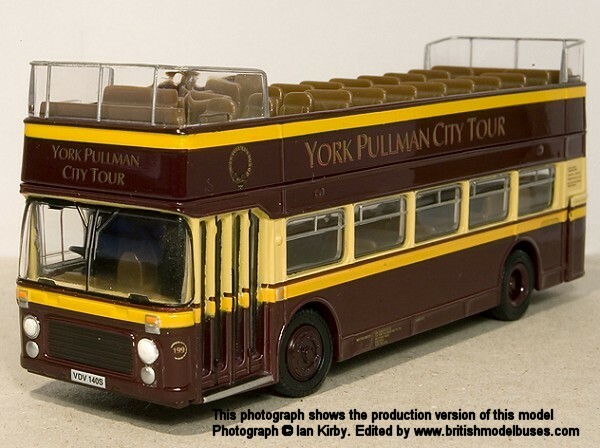 Corgi OOC represented Plaxton Beaver fleet number 501 (R501CNP) as model number 43408. 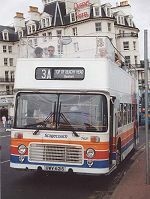 This photograph is appropriate to Jubilee year and was taken in Bournemouth on 11 June 1977. 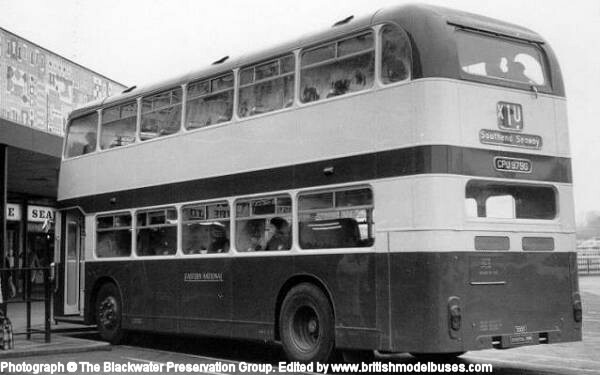 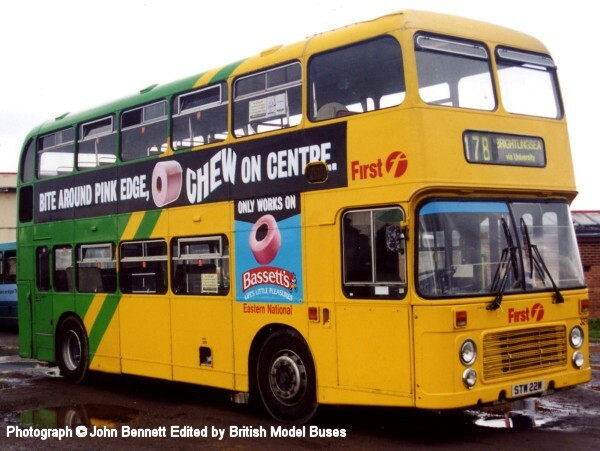 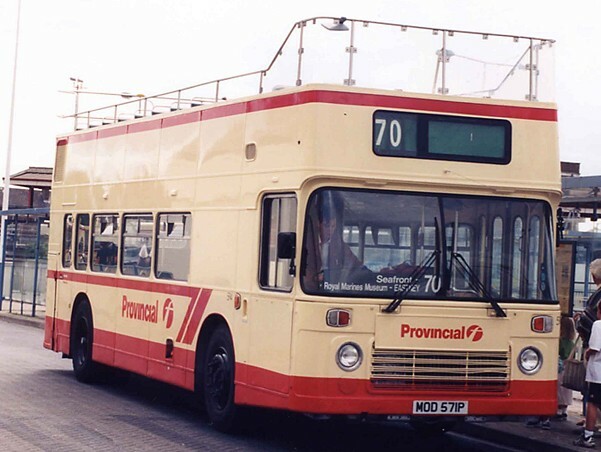 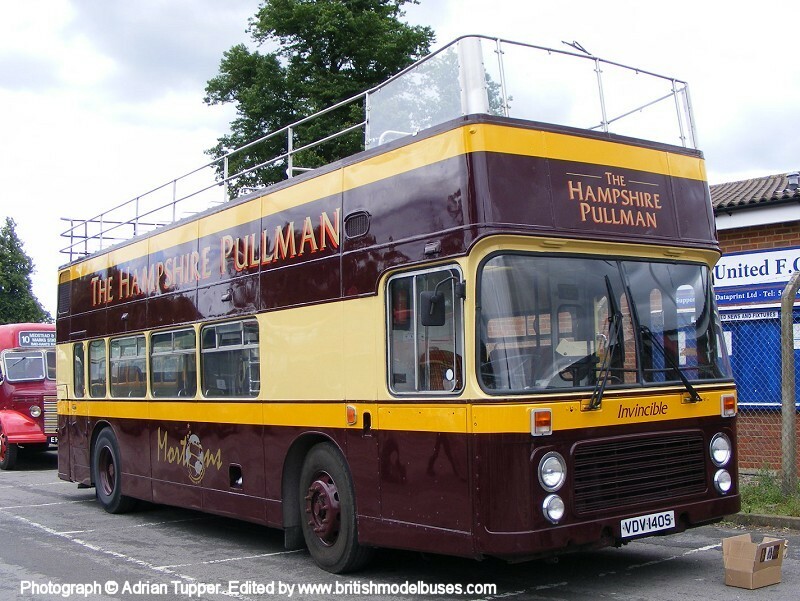 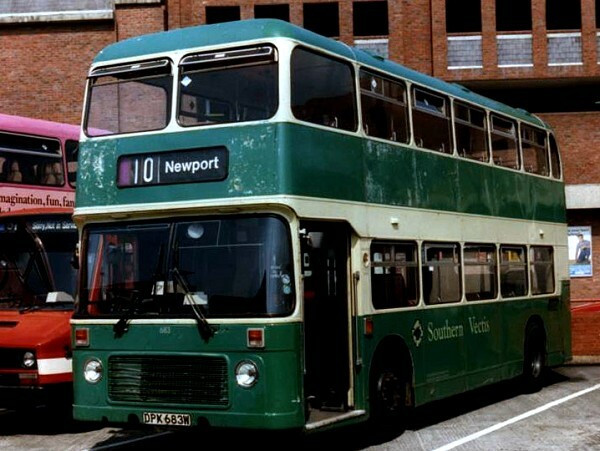 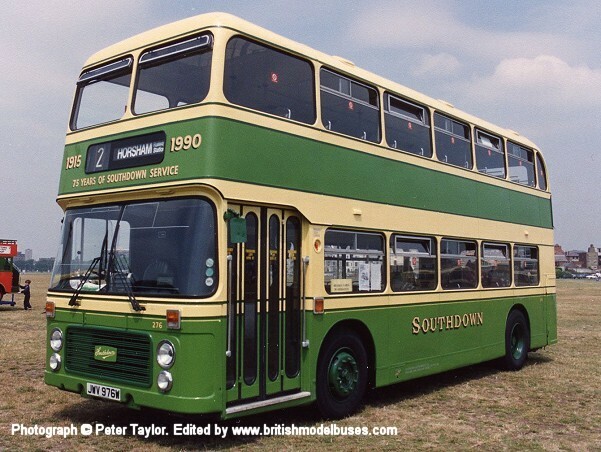 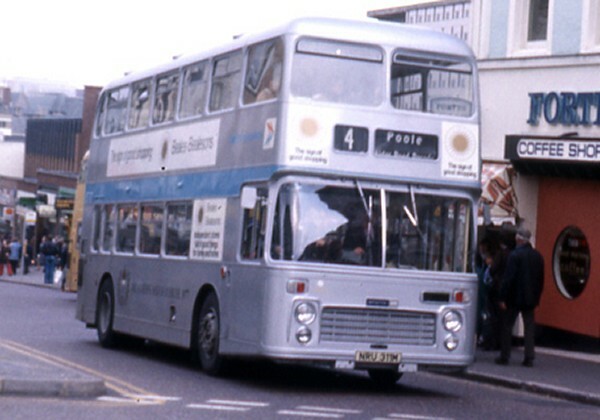 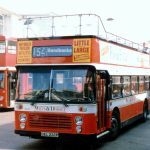 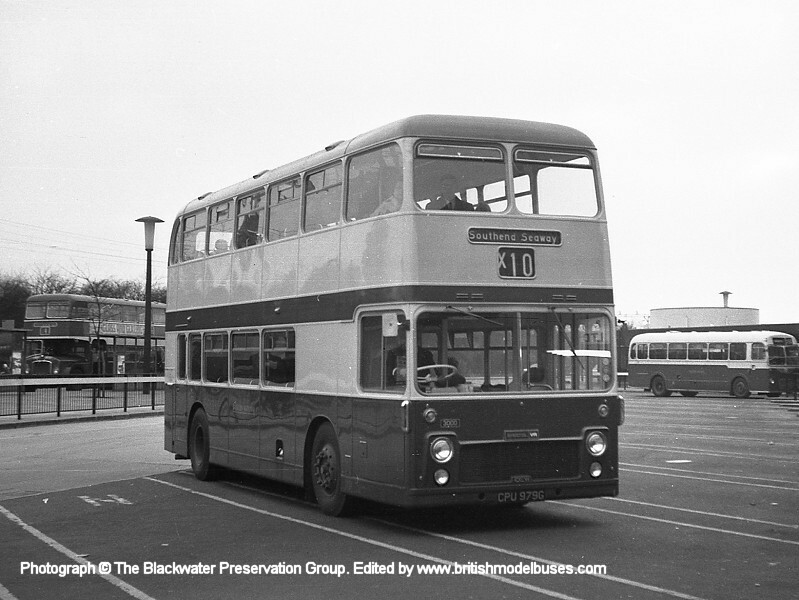 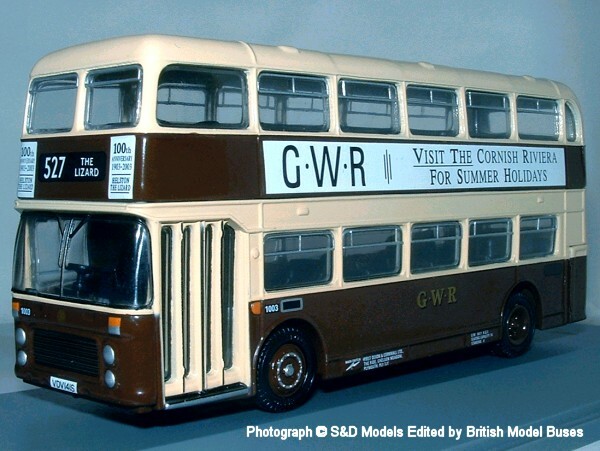 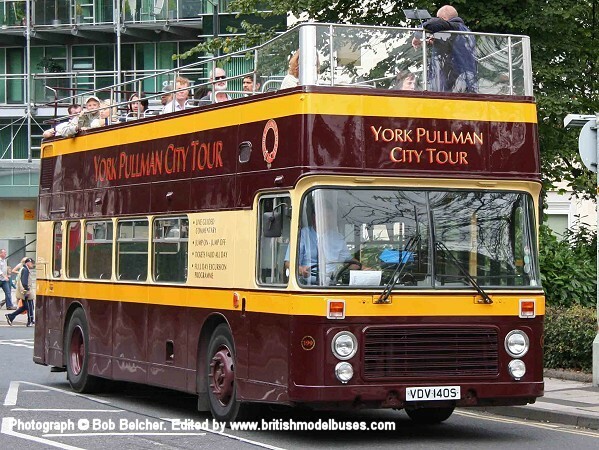 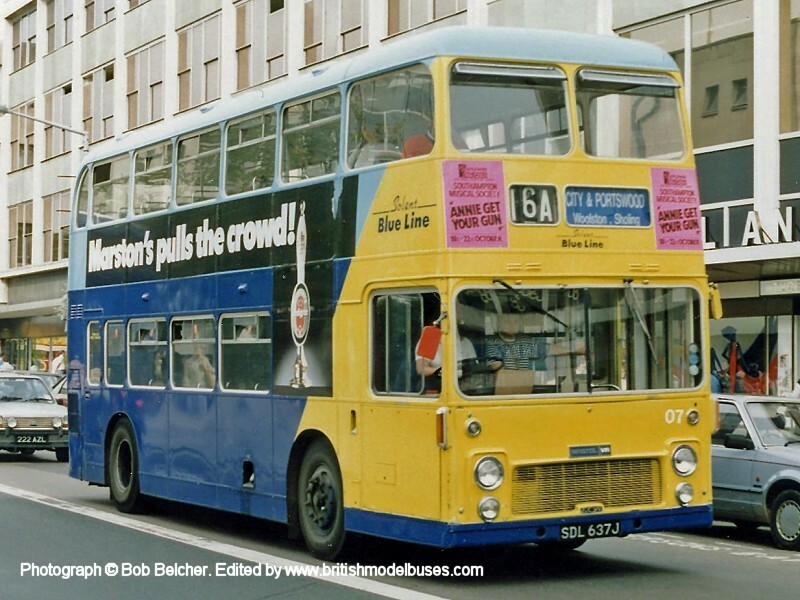 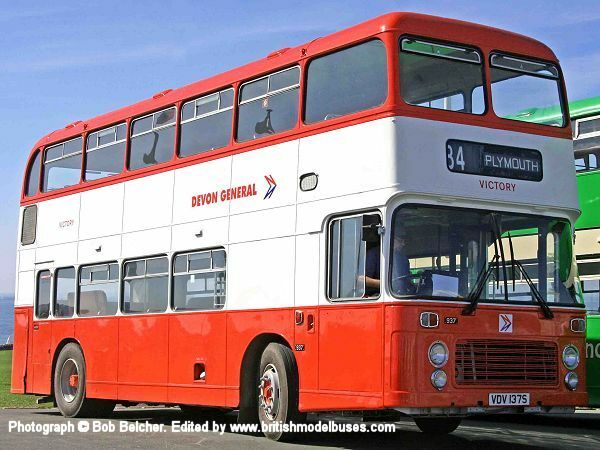 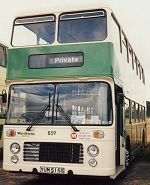 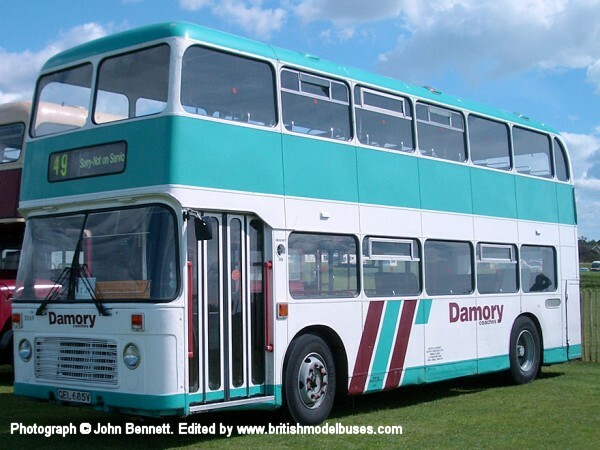 It shows Hants and Dorset Bristol VR MkIII/ECW No. 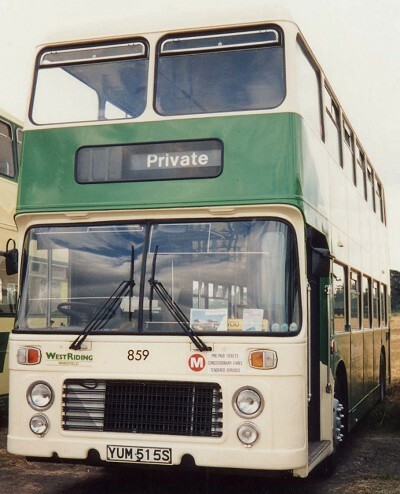 3307 painted in silver for the Jubilee year. 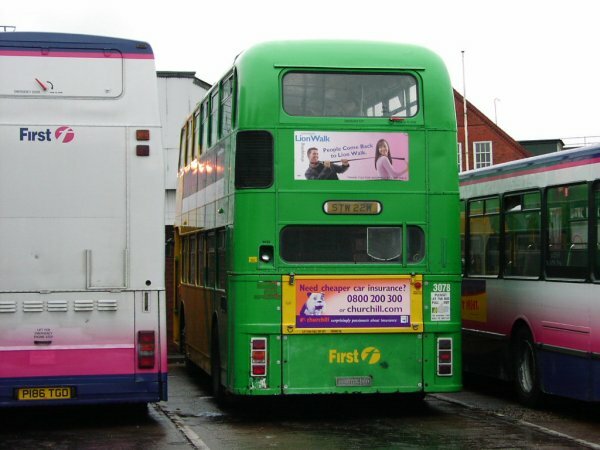 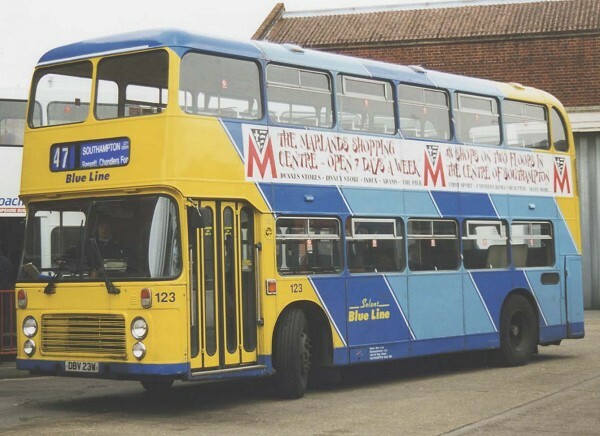 This photograph was taken at the Hedingham depot in Tollesbury, Essex on Wednesday 2 April 2003 and shows fleet number L255 (STW30W). 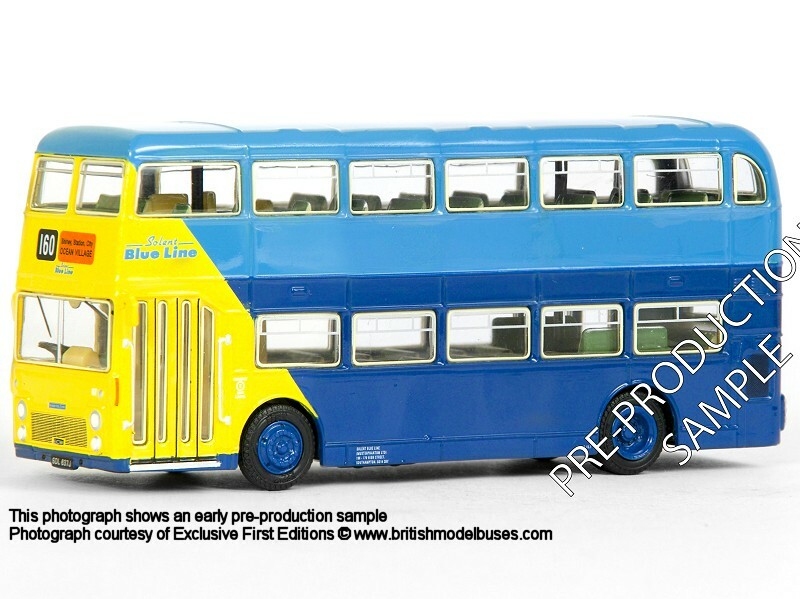 This is the actual vehicle represented by EFE model 20414. 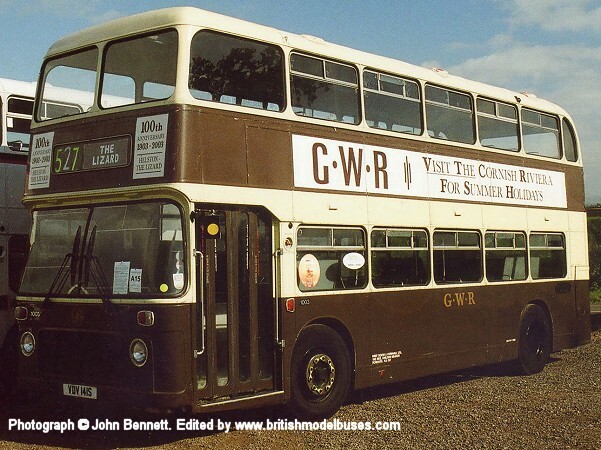 BRISTOL VR3 - STAGECOACH DEVON GENERAL "ARK ROYAL"